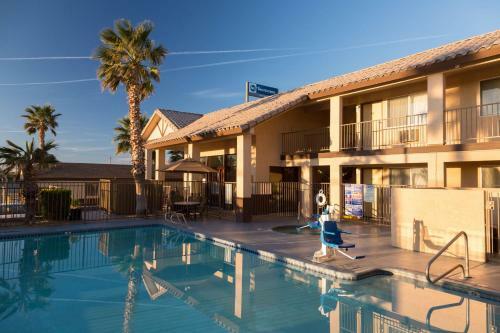 Featuring an outdoor pool, this Mojave, California hotel offers a free breakfast daily. California Route 66 Museum is 1 hours’ drive away. Red Rock Canyon State Park is 35 minutes’ drive away. 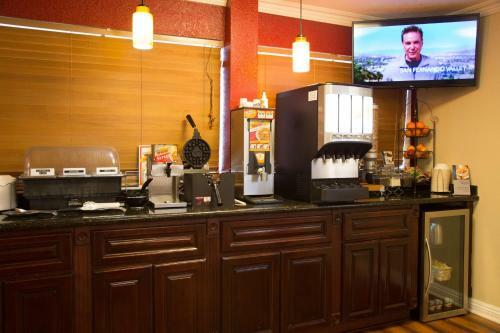 Offering free Wi-Fi, this air-conditioned room provides cable TV and a coffee machine at Best Western Desert Winds. 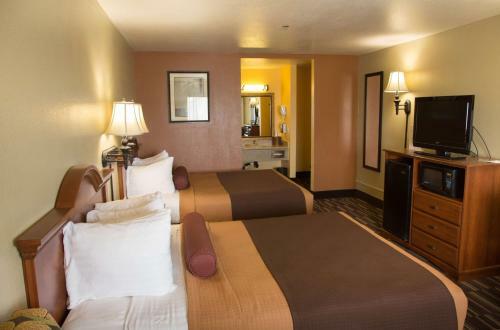 Each room is styled in cream linens and rich wood furnishings. 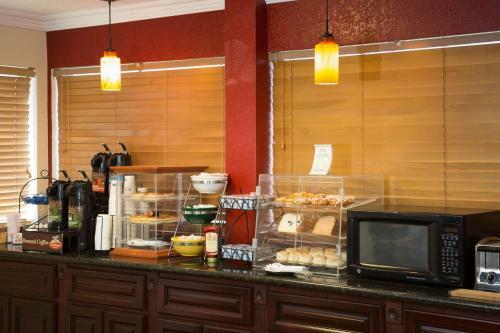 Fresh fruit, eggs, juice and other items are just some of the breakfast items offered daily. A business centre, a launderette and a gift shop is on site. Maturango Museum is 1 hours’ drive away. 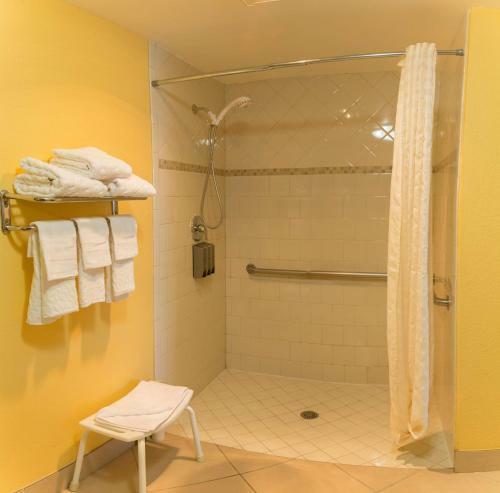 Brite Valley Aquatic Recreation Area is 30 minutes’ drive away from Best Western Desert Winds. Very friendly clerk started my experience off right, and the room was well-cleaned and almost everything seemed in good shape. Some of the plumbing was a little bit older. The location of this hotel is also a bit out of the way as this town goes, and parking was tight. Nice quite town, we just basically stopped for the night and went to bed when we got there. The night clerk was very nice, we had a truck and trailer and he came out to show us where we could park in his lot. Breakfast was good. The TV remote did not work and the shower did not have any pressure. The staff was very courteous and professional. Room was clean and very spacious. 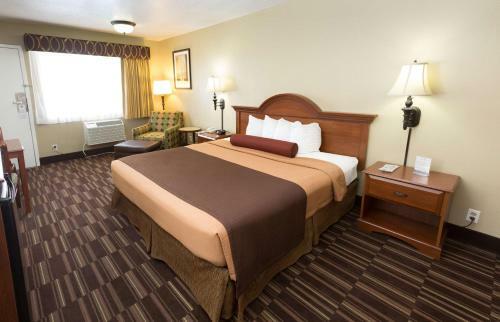 Beds were comfortable and towels were very absorbent and clean. There were almost no places to eat. Restaurants in the area did not deliver and some spoke very little English. The phone was broken in the room and the room took a very long time to cool off. Also there was no ice machine in a hotel in the middle of the desert.? The air conditioner was not the best, more like slightly cool, definitely not cold. Specious, clean, good breakfast selection & the pool was most welcome. Very quiet and good value. It's a very small town. Good to stop between two steps. A nice place to stay. 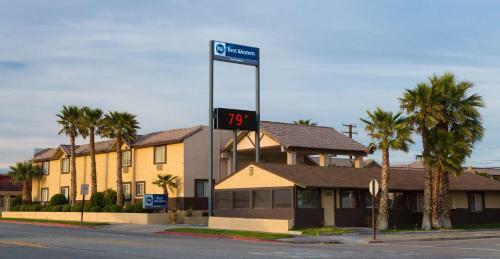 The town is a small desert town with little to offer, but we stayed here during our trip north. 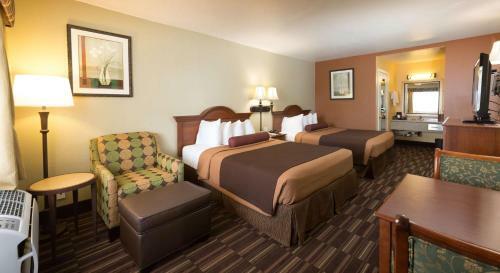 The room was clean, the bed was nice and we had a good sleep. 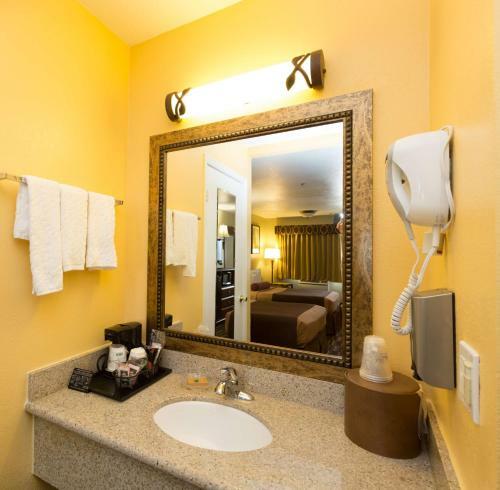 The staff was really friendly and helpful and immediately gave us a new room when there was something wrong with the bathroom in the first one. The breakfast is included, which is nice, but it really isnt much to have. 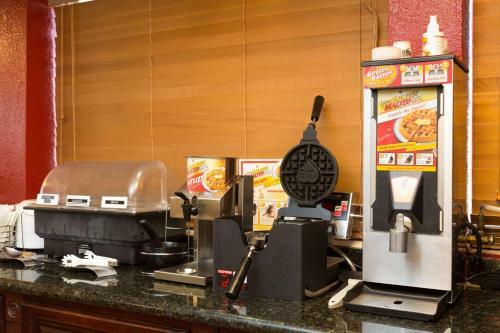 But then again, you can't expect much from an American motel as they always have lousy breakfasts with just fabricated, fat food & sugar. What was served was some toasts, yoghurt, scrambled eggs (made from powder probably and not even real eggs) and waffles. It would be so much better to serve just 1 nice thing - like a fresh sandwich + coffe, instead of many bad, fat, tasteless things for the same price. Pool war nicht besonders sauber. 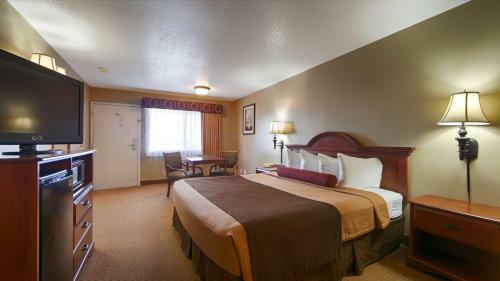 A good place to stay at a decent price. 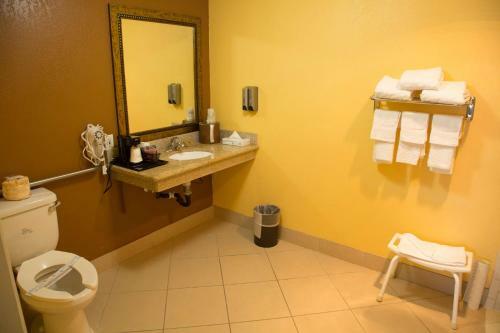 The staff were great, and the place had nice amenities including two areas to take dogs to relieve themselves. Bed was a little hard. Beds at other Best Westerns were nicer. Desertwinds is spot on for a name! 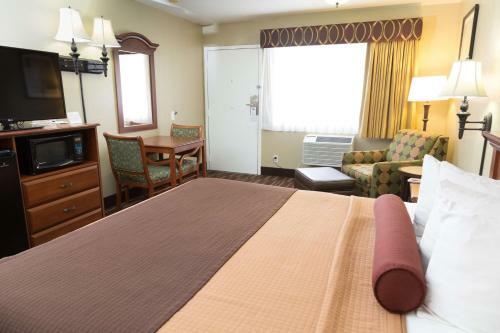 Clean rooms, easy check in and great location. Breakfast could have been better. Very windy at night. Great place in a small isolated town. Breakfast was great, room was clean, not noisy at all even though I was by the pool! Refrigerator was not cold enough. Freezer was not working properly. Nothing everything was great and as expected. un motel au dessus de la moyenne. l'hotel est parfaitement entretenu, très propre et l'accueil y est souriant et agréable. Une très agréable étape. Le motel le plus accueillant de notre séjour. Hot breakfast was great, good selection of hot food. Fan in bathroom was noisy and it came on with light. More water pressure in the shower. 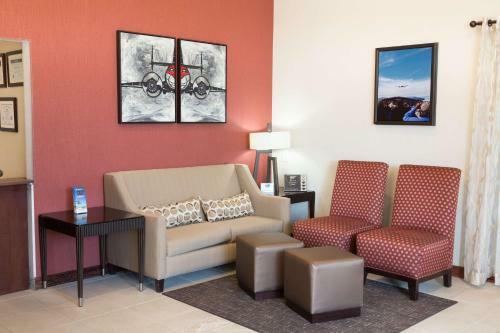 Fronting highway 14 in the town's north, this low-key hotel is 1.1 miles from Mojave Air and Space Port, and 10.5 miles from Tehachapi Pass. 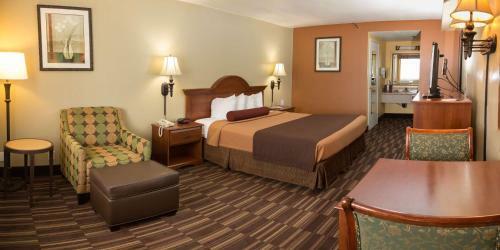 The traditional rooms have free WiFi and flat-screen TVs, plus desks, microwaves, minifridges and coffeemakers. 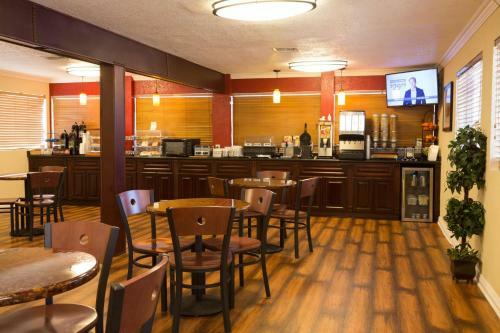 Freebies include a breakfast buffet and parking. 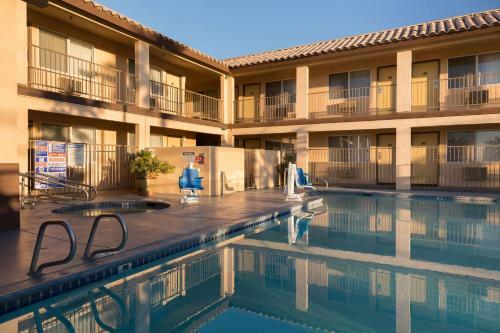 There's also an outdoor pool, a hot tub and a guest laundry.